In modern days, more and more people have infertility. The environment we are living in, the diet, the contraception pills doctors gave to us, all these factors affect our fertility conditions. Generally for women, the highest chance to get pregnant is during 21-25 years old. After 25, the chance to get pregnant per year drops to 75%. When near 30, it is 47%. Over 30, it is 38%. Near 40, it is 25%. Over 40, it is 22%. Some people think they have a chance to get pregnant every day. But that is not true. Generally they have a chance of getting pregnant only once a month if your menstruation is about 30 days, so there are only 10-15 chances per year based on the woman’s cycle. There are many reasons causing female infertility: ovulation dysfunction, endocrine dysfunction, irregular period, pelvic inflammatory disease, blockage of the fallopian tubes, endometriosis, polycystic ovary syndrome, weak constitution etc. For men, it is generally low quality or quantity of the sperm, sexual dysfunction etc. (1) Coldness: delayed menstruation, dark and less quantity period, cold hands and feet, sore back, clear leukorrhea, diarrhea, dysfunction in ovulation, low sexual desire, etc. (2)	Heat: Shortened cycle, large quantity of bleeding, spottng, clots, irritable, profuse dreaming, constipation, etc. (3) Liver stagnation(generally seen in stressful emotional people): irregular period, tender breast before period, bloated stomach, headache, irritable, stuffy chest, etc. (4)	Blood stasis: scanty menstruation, clots in period, dry skin, painful period, etc. (5)	Invisible phlegm: delayed period, scanty period, profuse leukorrhea, dizziness, fatigue, palpitation, nausea, etc. (6) Kidney deficiency: irregular period, or menopause, dizziness, tinnitus, soreness in the knees and lower back, fatigue, ovulation dysfunction, bad quality egg, etc. (7)	Blood deficiency: delayed menstruation, scanty period with light color, dizziness, fatigue, lassitude. Having any of those symptoms? Please contact us for your infertility. Chinese medicine treatment for infertility is very natural and safe. It will keep your body balanced physically, mentally and emotionally. You will have a strong constitution and be healthy as an integrated whole. 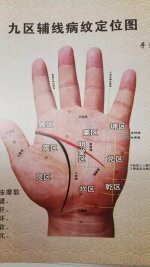 After Chinese herb and acupuncture treatment, the ovulation and endometrium will be better. You will have less chance of infertility and miscarriage. The way we balance your body to get pregnant is to help providing the best egg naturally and provide the best environment for the fetus. To get pregnant, you need good quality egg, good quality sperms, thick endometrium, right temperature and good nutrition in uterus. Just like gardening, we need good quality seed, then plant it in fertilized land, need right temperature (for example in spring) to grow. Some people have problems to provide good quality egg naturally. So they will go to do the IVF. But what if we can help you provide the good quality egg by yourself? Some people have problems to provide thick endometrium. That is one of the reasons why there is miscarriage even after pregnancy or why IVF failed. We help your body providing fertilized endometrium, not a sponge-like endometrium. Some people have problems to provide right temperature environment in uterus. Just like you put the seeds in fertilized land in winter, it won’t grow. With acupuncture and Chinese herb treatment, we can adjust your temperature for the fetus. 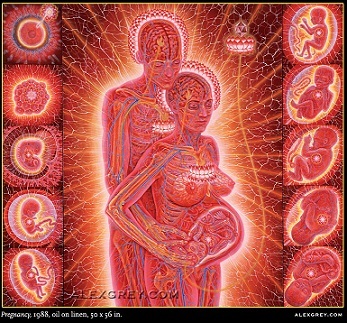 (1)	Natural fertilization: some people don’t need to do the artificial insemination or IVF. As long as you don’t have any organic diseases, we can regulate your fertilization function to get pregnant. (2)	Preparation for artificial insemination or IVF: some people failed several times of IVF. Even if you try again, there is no guarantee of success. It will be a waste of money, time and will harm your body. 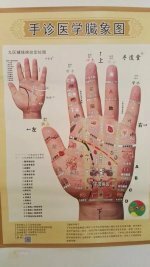 So we can do 1-3 months of Chinese medicine treatment before hand. When the body is regulated, success of artificial insemination and IVF can improve 50% even higher. We have some cases got pregnant before they do artificial insemination or IVF. (3) Combination with artificial insemination and IVF: we can improve the success of pregnancy when you combine Chinese medicine treatment with artificial insemination or IVF. Want to have babies, we can fill your dreams! Click here to contact us!